A peaceful retreat for the business person, busy travelers or for those taking a special weekend away. Dutch Pride Bed & Breakfast inn is just what your looking for. 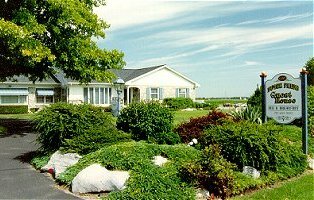 A bed and breakfast ocated in the heart of Lancaster County, tucked between Lancaster and Lebanon. Our stone rancher is easy to find. The 1st floor provides a restful country side getaway. The Guest House has private entrance, screened gazebo, sunroom. A welcome treat awaits you on arrival along with PA Dutch warm hospitality. We serve a country breakfast. 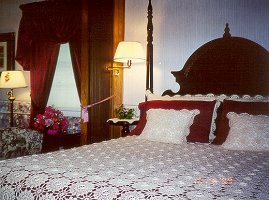 Guest house has a victorian flare, office, telephone, CCTV - AC, Kitchen, Lounge, Bathroom, Queen Bed, plus day bed. Very nice. Country Room - 1800 Furniture, Double Bed, Lounge, Bath. Anniversary Room - Mirrored Walls, Queen Brass Bed, Lounge, Bath. Access to gazbo and sunroom. This and other Lancaster Bed and Breakfast Inns can be found here in The Register.